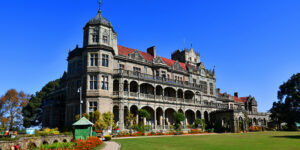 Shimla the former summer capital of British Raj is situated on several small spurs of the lower Himalayas. 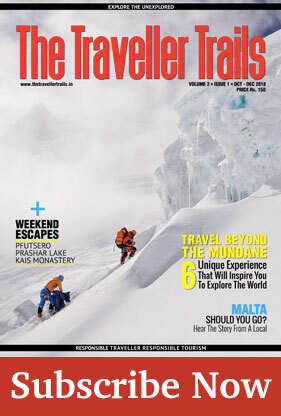 Due to its pleasing climate, it is often regarded as a summer retreat and aptly referred to as the Queen of Hills. 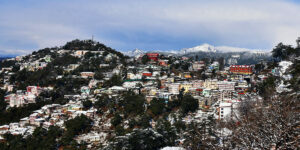 Shimla is surrounded by seven hills. Post the Gurkha war, Britishers acquired these hills and started to build the city. Let us highlight a brief description of these seven hills. Jakhoo Hill: Located at an elevation of 8000 feet above sea level this is the highest hill in the vicinity. Famous for the ancient temple and tall sculpture dedicated to Lord Hanuman which is visible from long distance the temple is a must visit to have a divine feeling. One can take steps, hire a taxi or and take the cable car to reach the temple. Observatory Hill: Located in the western part of the city this is the second highest hill. Today it houses Indian Institute of Advanced Studies built under the regime of Lord Dufferin as Viceroys residence between 1884-88. 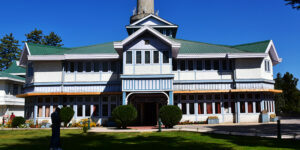 The place also remained the venue of Simla conference in 1945 where the decisions of the partition of India were taken. 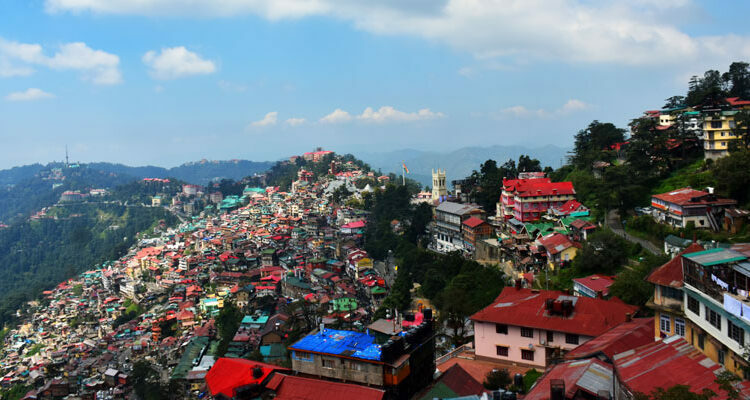 Prospect Hill: At an elevation of 2200 metres above sea level this hill is also in western part of Shimla enclosing the Boileauganj area. There is a beautiful and peaceful temple perched on the top of the hill devoted to goddess Kamna who is known as the goddess of desires. 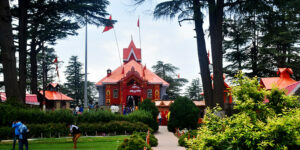 Inveram Hill: This hill also falls in western part of Shimla and is housing the Himalayan Bird Park which has a small collection of exotic birdlife and State Museum which has the collection of myriad magnificent paintings and sculptures conserving the rich cultural heritage of the place. Bantony Hill: This hill falls in the centre of the city close to Scandal Point towards Grand Hotel and Kali Bari Temple. Named after Lord Bantony, it holds the Bantony Castle which was constructed in 1880 in Tudor style architecture and used as the summer residence. Elysium Hill: Located in the North Western part of Shimla, this appealing site is located on the road leading to the Lakkar Bazaar which holds the Auckland house school and Longwood and extends up to Bharari spur. 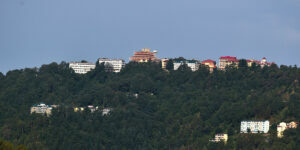 Summer Hill: 5 Km west to the Shimla Ridge and at an elevation of 2100 metres this hill is where the Himachal Pradesh University Campus is located. 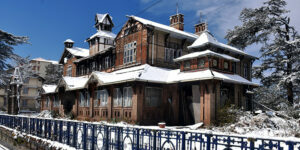 It also offered residence to Mahatma Gandhi, who stayed here at the Georgian mansion of Rajkumari Amrit Kaur during his Shimla visits.